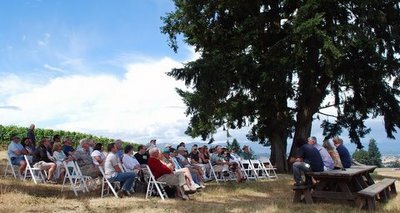 An IPNC seminar is held at Soter Vineyards near Carlton, Oregon. Unknown, "Soter Vineyards Seminar" (2008). IPNC - Archival Photos. Image. Submission 27.